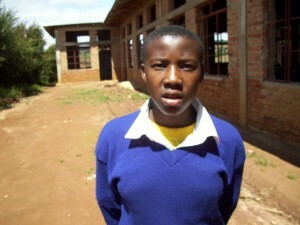 Happy Sanga, a Scholarship student, at school in Tanzania. The joy of seeing students sponsored in Tanzania by members of House of Prayer is really heartwarming. When we saw the smile of a student who was introduced to our travel group as a recipient of a scholarship, our hearts melted as we know the sacrifice our HOP members gave to make this happen. This is one of the best things we can do for our brothers and sisters in Ifunda to improve their lives. When the children are educated the whole family benefits. These kids we are educating are working for the goodness of their family, the church, and their country. Please search your heart in the next couple of months and help educate a student in Ifunda. For $380, you can educate, house, and feed a student for an entire year of school. If you cannot give that much any amount will help. (Make your check out to House of Prayer & mark it Ifunda student.) While visiting these schools we can feel the joy of the students as they study and learn. These kids want to be in school and work hard. They work hard because it is a privilege to be sponsored and to attend school. We are blessed in America and we can share the blessing. Please, sponsor a student or consider a partial sponsorship. We need to report how many children we will be sponsoring by November 15.